High rise construction site. This abandoned 1800s church is slated to be moved and turned into a restaurant. 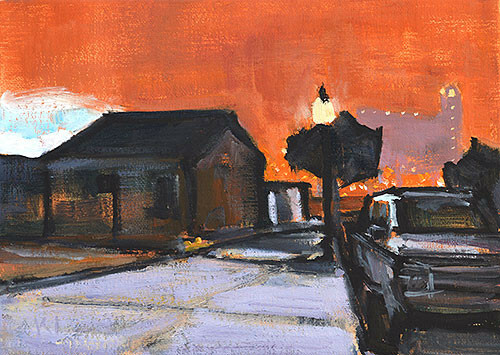 This entry was posted in Landscape Paintings, San Diego Paintings, Urban Landscapes and tagged 5 x 7 inches, california, east village, night, nocturne, oil on linen on panel, san diego on February 10, 2015 by Kevin.